After listening to Ciara and Tekno’s new collaboration, it’s hard to shake off a certain feeling of nostalgia. 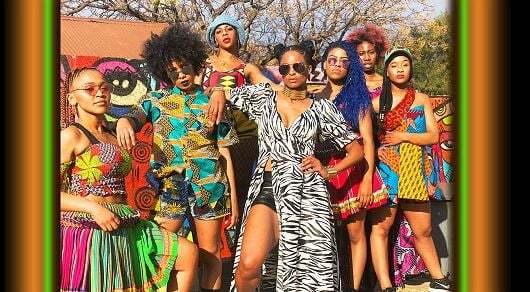 The nostalgia is borne out of the fact that ‘Freak Me’, as the song is known, is familiar to many Nigerian music fans. The song, which was released on Friday, samples a large portion of Tiwa Savage’s ‘Before Nko’ featuring D’Prince. ‘Before Nko’ is song off Savage’s 2016 album, ‘R.E.D’. Anyone who had previously listened to ‘Before Nko’ would quickly notice similarities in the beat, melody and the lyrics of the hook. A few Nigerians took to Twitter to accuse Tekno and Ciara of stealing Savage’s intellectual property despite the ‘Lova Lova’ singer being listed on the song’s credits. 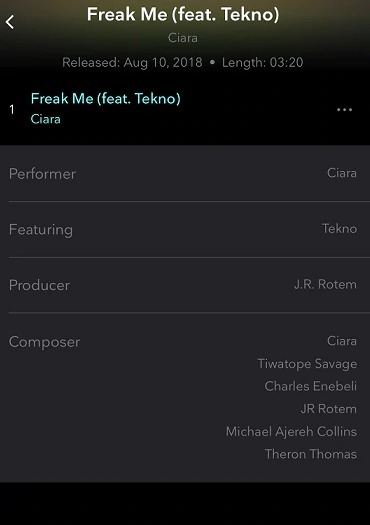 However, on streaming platforms like Tidal, Ciara, Tiwalope Savage, Charles Enebeli, JR Rotem, Micheal Ajereh Collins (Don Jazzy), and Theron Thomas are given credits as contributors to ‘Freak Me’. Listen to both songs below.